Reading “The Realisation” at Flash Fiction in the Orchard for the Armagh Festival of Food & Cider, September 2018. 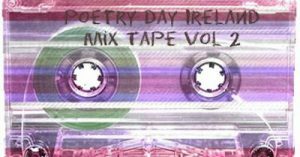 “Turf” was featured in Poetry NI & Lagan Online’s Mix Tape: Volume 2 for Poetry Day Ireland 2018. Click above to listen to the audio collection. Reading my a short piece “Hope” at Armagh Flash Fiction 2 at the Mulberry, June 2018.